Robert Royhl is a painter who has been living and working in Bozeman, MT for the past twenty-seven years. Born in 1949 in New York City, he grew up in Tucson, Arizona and has lived and traveled all over the West. Widely exhibited since the early 70’s, he has shown his work in numerous galleries and museums in California, Arizona, Japan and Montana, and is currently represented by the Davis Dominguez Gallery in Tucson and White Apple Gallery in Whitefish. Robert is also the distinguished Emeritus Professor of Art at Montana State University. 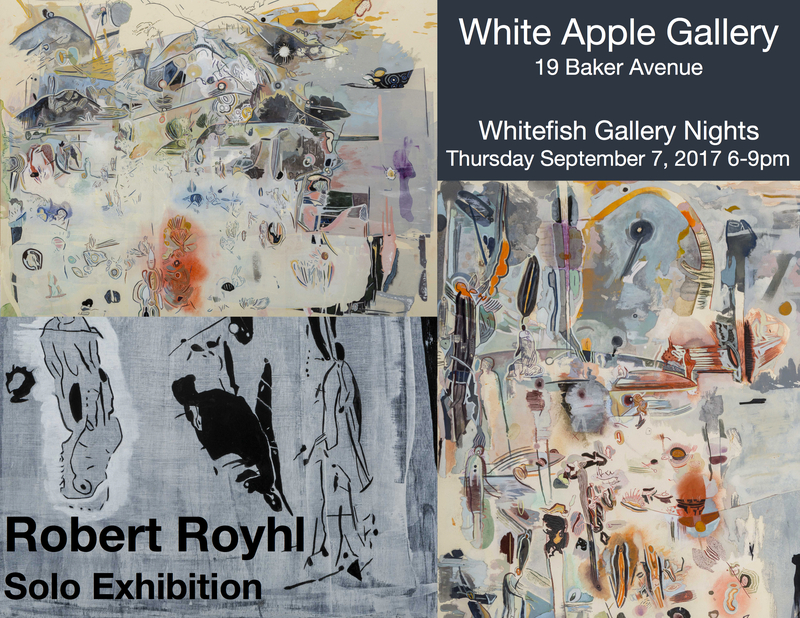 Robert will be debuting in Whitefish and the Flathead Valley with his show of 9 new pieces opening at White Apple Gallery on Thursday, Sept. 7 from 6-9 PM during Whitefish Gallery Nights. The artist will be in attendance so please join us.